Here I’ve compiled a list of college scholarships that do not require an essay to apply. Please contact me with any others you know of and I’ll add them to the list. Click the sponsor name to learn more about how and when to apply for the listed scholarship. 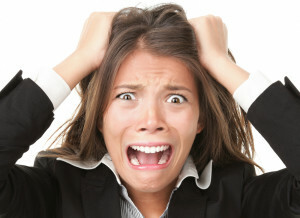 Easy DoSomething.org $2,000 Scholarship: Share Stress & Anxiety Reducing Tips DoSomething.org $2000 (1) U.S., U.S. Territories and Outlying Areas, Canadian citizens (excluding Quebec) (2) persons who reside in the fifty (50) United States & District of Columbia, regardless of the citizenship of such individuals, each who are younger than twenty­six (26) years old as of the final date of the Promotion Period Must perform all steps listed on the campaign page: Enter three friends' numbers in the online form. SCHOLARSHIP DoSomething.org $1000 (1) U.S., U.S. Territories and Outlying Areas, Canadian citizens (excluding Quebec) (2) persons who reside in the fifty (50) United States & District of Columbia, regardless of the citizenship of such individuals, each who are younger than twenty­six (26) years old as of the final date of the Promotion Period Must play the game by inputting name and mobile phone number as well as 3 friends’ mobile numbers on the campaign page. Easy DoSomething.org $2,000 Scholarship: Pregnancy Text DoSomething.org $2000 (1) U.S., U.S. Territories and Outlying Areas, Canadian citizens (excluding Quebec) (2) persons who reside in the fifty (50) United States & District of Columbia, regardless of the citizenship of such individuals, each who are younger than twenty­six (26) years old as of the final date of the Promotion Period Must play the game by inputting name and mobile phone number as well as 3 friends’ mobile numbers on the campaign page. The CollegeWeekLive $5,000 Scholarship CollegeWeekLive, LLC $5000 U.S. and non-U.S. students. Applicants must enroll no later than the fall of 2019 in an accredited post-secondary institution of higher learning (college, university or trade school) that is a CollegeWeekLive member. (1) Must apply online by registering on the Sponsor's website (http://www.collegeweeklive.com) (2) Must login and participate in a CollegeWeekLive virtual event on the following days in order to be eligible. are permanent legal residents of the United States and the District of Columbia (excluding residents of New York and Florida, Puerto Rico, Guam, and other U.S. Territories) who are at least thirteen (13) years old. Fill out the online application/entry form and submit it in accordance with the on-screen instructions. Then proceed to https://atwork.everfi.net/usbankscholarship and complete all eight Financial Genius education modules. Each learning module is approximately 10-15 minutes long and contains a series of videos, animations, activities, and knowledge checks. THE "TELL A FRIEND" SCHOLARSHIP SWEEPSTAKES Scholarships.com $1000; $500 No restrictions You will be entered once for each student referred via the form on the website who fills out and completes a valid User Profile at Scholarships.com. THE HAIKU NINJA FACEBOOK SCHOLARSHIP Scholarships.com $1,000 or a Kindle Fire No restrictions Step 1: "Like" Scholarships.com on Facebook. Step 2: Post a haiku on our wall about how Scholarships.com is helping you prepare for and afford college. Once you do this, you are automatically entered to win a $1,000 scholarship or a Kindle Fire. Step 3: You may enter as many times as you want over the course of the contest but please limit your haiku entries to one per day. From there, the Scholarships.com Team will determine which haiku best exemplifies what our site is all about and which applicant is using our resources most effectively. 2. Be passionate and committed to empowering the community in which they live. Carrying a minimum 3.00 GPA at the end of their junior year of high school. Apply online and submit application. Walmart Associate Scholarship Walmart multiple: $1500; $2000; $3000 Must be a U.S. Citizen or Permanent Legal Resident of the United States. to the application due date for the award period in which the associate is applying (see chart below). who intends to enroll in a college or university upon graduation. DIABETES, INCORPORATED Diabetes Incorporated Community Scholarship $1000 High school senior students who plan to continue their education beyond high school or students who are currently continuing their education beyond the high school level. Applicants must either have diabetes or have an immediate family member who has diabetes and a family member must be a current Diabetes, Incorporated member. Submit Scholarship Application online or by mail by April 15. The Richard G. Zimmerman scholarship The National Press Club $5000 (1) Open to all high school seniors, regardless of gender or race. (2) Applicants must have a 3.0 grade average and plan to attend college this year.  3 work samples. These may be print articles (reduced to 8 ½ by 11 size) or multimedia stories on a CD or DVD.  Three letters of recommendation from persons who are not members of your family.  Your high school transcript.  Completed, signed copy of the Financial Aid Form (FAFSA) that you submitted.  A letter of acceptance from the college/university of your choice or some documentation indicating where you have applied. (1) Tell us about yourself, why we should awarded you with our scholarship. Be creative, be unique, express your personality. (2) Tell us why you're seeking a degree in your field, and why our scholarship interested you. (3) Upload your video to YouTube with the title "$1000 HeadsetPlus.com College Scholarship Program"
$1000 1. You must be a graduating senior in high school or enrolled in college. Community college, professional college, and graduate students are all eligible, in addition to undergraduates at four-year universities. 4. We reserve the right to verify date of high school graduation and/or college enrollment. 1. As mentioned above, either write a one to two page business plan or make a business plan infographic about one of the suggested topics. 2. Send your entry to jamie[at]formswift.com by July 30, 2015 with the email subject line "FormSwift Summer Scholarship Entry"
The Student-View Scholarship Student-View multiple: $4000; $1000; $500 Open for all high school seniors. Complete a 15-25 minute online survey about local colleges. You will then be automatically entered into a random drawing for a scholarship award. High School Senior Scholarship Contest The American Fire Sprinkler Association 10x $20,000 Open to high school seniors who are citizens and aliens legally residing in the USA. Selection of winners is not based on financial need. Read complete contest information before applying. Please read all requirements carefully. Entries that do not meet ALL requirements will be automatically disqualified from the contest without notification to the student. Step 1: Read all contest details. Step 2: Read the “Fire Sprinkler Essay” You may print the essay for reference if you choose. Step 3: Register and Take the Test. $5,000 Second Chance Scholarship Contest The American Fire Sprinkler Association 5x $1000 Open to citizens and aliens legally residing in the USA with High School Diploma, GED or equivalent. Scholarship payable to the winner’s college/university or certified trade school in the United States; winner must enroll or already be enrolled for Spring 2016 session. Relatives of AFSA staff or NATIONAL board members may not enter. Step 1: Read the “Fire Sprinkler Essay” (pdf) or (html) about automatic fire sprinklers. Step 2: Complete registration page with all requested information. Sallie Mae’s $1,000 Plan for College Sweepstakes Sallie Mae Bank $1000 Open only to legal residents of the fifty (50) United States and the District of Columbia who are of the age of majority in the jurisdiction in which they reside and who are students, parents, guidance counselors, or financial aid officers at the time of entry. The Sweepstakes is a monthly drawing continuing until terminated by Sponsor, in Sponsor’s sole discretion. Entrants may enter the Sweepstakes by completing the online registration form found at https://www.salliemae.com/plan-for-college/registration/ (“Entry”). Sponsor’s computer system shall be the official time-keeping device for the Sweepstakes. "Stay Safe on the Internet" Scholarship Frontierbundles.com $1000 Applicant must be a U.S. Citizen or Permanent Legal Resident of the United States. Employees of Frontierbundles.com, its parents, affiliates and subsidiaries, participating advertising and promotion agencies, and prize suppliers (and members of their immediate family and/or those living in the same household of each such employee) are not eligible. (1) Create a poster using any medium you see fit. We will only accept your submission in a .jpeg or PDF files no larger than 2 MB. (2) Upload and submit your image by December 16, 2015. Scholarship Scholarships4Moms $10,000 Applicants must be 18 years of age or older and must be permanent residents of the United States. You agree that you are currently enrolled, or will be enrolled within the next 3 months, in a college or university in the United States. Applicant must be a parent or an expectant parent. To apply, go to the Registration Page and follow the links and instructions to register. Scholarship Scholarships4Dads $10,000 Applicants must be 18 years of age or older and must be permanent residents of the United States. You agree that you are currently enrolled, or will be enrolled within the next 3 months, in a college or university in the United States. Applicant must be a parent or an expectant parent. To apply, go to the Registration Page and follow the links and instructions to register. 10 Words or Less Scholarship StudentScholarships.org $500 Anyone who is between the ages of 14-25 who will be attending school in the Fall of 2016. “Design-A-Sign” Scholarship Contest Signazon.com multiple: $1000; $200; $100 The Contest is open only to anyone in the 50 U.S. states and the District of Columbia, excluding U.S. territories, that has registered with Signazon.com for the Contest by 11:59:59 P.M. CDT on May 29, 2015. Entrants must be at least 13 years of age and U.S. residents, and if under the age of 18, must have obtained their parents’ or legal guardians’ prior permission before entering. Preferably current status as a senior in an accredited New York State high school, or status as a senior at an accredited high school outside of New York State but with a history of movement to New York State. If no eligible high school seniors submit applications, the application of a college student will be considered. CCNMA Scholarships CCNMA: Latino Journalists of California multiple: $500; $1000 Latino students who are planning to pursue a career in journalism. Students must be enrolled full time for the entire academic year in which they apply. They must also be a California resident or attend an accredited college or university in California. No details until scholarship opens. East Bay College Fund Scholarship East Bay College Fund worth up to $16,000 East Bay (primarily Oakland) public high school students from low income families and communities with historically low college attendance rates. Fill in online application form. (4)Attending an accredited medical school in California or a California resident attending an accredited medical school elsewhere in the United States. All applicants must: have demonstrated service to the LGBTQ community (applicants of all sexual orientations and gender identities are eligible) Fill in online application form. An OC public or private high school graduate who enrolls fulltime at a four-year college or an OC community college transfer who enrolls fulltime at a four-year college. Dream Act/ AB 540 applicants must complete the "Applicant Financial Information" section of the online application. Family income limit of $45,000. Click on “sign up” and you will be prompted to enter an email address and password, once you complete this, click on “sign up” on the lower right-hand corner. John Kitt Memorial Scholarship American Association of Candy Technologists $5000 • College sophomore, Junior or Senior status (in 2016-2017). Your demonstrated interest in confectionery technology can include many activities including but not limited to research projects, work experience, and formal study. Print application, fill in and mail. AccuWeb Hosting College Scholarship AccuWebHosting $1000 Must be a current or incoming student at a University in the U.S.
Must be able to provide documentation to support enrollment in the University. Like and follow us on Facebook , Twitter , LinkedIn , Google+ , and YouTube. When your video is live, email us scholarship@accuwebhosting.com from your .edu email address. Applicant must be a U.S. Citizen or Permanent Legal Resident of the United States and may not be an associate (employee) or relative of cheapcarinsuranceco.com. Applicant must be a current student and have a cumulative high school grade point average of at least 2.5 on a 4-point scale. Applicant must also be a high school or home school senior graduating or earning a GED between August 1 and November 30, who will enroll for Spring Semester as a freshman at an accredited 2-year or 4-year college or university. Current Freshman, Sophomores, Juniors and Seniors: Applicant must have a cumulative college grade point average of a least 2.5, and be enrolled full-time at an accredited 2-year or 4-year college or university between August 1 and June of the year submitted. Submit an original commercial about car Insurance driving habits good or bad. Please try to keep the videos positive in nature. Link to http://www.cheapcarinsuranceco.com in your video and video description. The statistics are startling. Outstanding student loan debt has reached $1.2 trillion dollars. The average senior graduates owing $26,600. You might ask yourself if a college education is even worth it. Largely, the answer is yes. In 2013, Americans who were college educated earned an average of 98% more per hour than those without a degree. Over a lifetime, that means the college graduate will earn on average $830,000 more than the high school graduate. 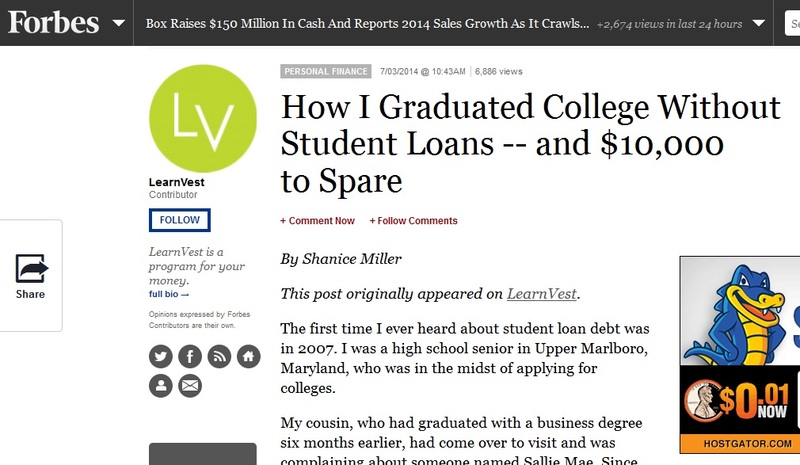 The trick is, to graduate without debt, or at least with the smallest amount possible. You can do that by winning scholarships. Here are some ways to get as many as you can. Not all of us are 4.0 students, achieved Eagle Scout status, and spend our weekends reading to orphans. That doesn’t mean there isn’t money out there for us too! Just because you don’t have perfect credentials doesn’t mean you shouldn’t search for scholarships. Can you build awesome blanket forts? This underrated skill can win you a $1000 scholarship. Are you a budding culinary genius? You can win a $25,000 scholarship from Jif if they deem your sandwich most creative. When you’re bored in class do you ever devise your escape in the event of a zombie apocalypse? You can win a $2000 scholarship for just a 250-word essay! See? Something for everyone! Start researching scholarships as early as your freshman year of high school. All scholarships have requirements, devoting a minimum number of hours to volunteering or taking elective classes in a certain subject for example. Waiting until your senior year to look for scholarships may mean you don’t have enough time to fulfill these kinds of requirements. Scholarship judges, not to mention college admissions officers and future employers, will search for you on-line. Remove anything, photos, tweets, comments in on-line forums, that doesn’t reflect well on you. Competition for the most lucrative scholarships is fierce. Unless you are the cream of the crop among applicants, it’s better to think small. Less competition increases your odds of being rewarded. Because these scholarships are less well known, they will generally be for smaller amounts so you will need to apply for several, as many as you can in fact. This too increases your odds of winning, less competition and more chances to do so. Look for opportunities that are local rather than national, businesses and organizations in your community who offer grants and awards. Because you will be casting a wide net, you need to keep close tabs on each scholarship. Use a spreadsheet to list and track the provider, deadline for applications, amount rewarded, eligibility criteria, and any required documentation, including an essay. Start gathering the required documentation as soon as you decide to apply. Things like transcripts and letters of recommendation can take time to receive. After a reasonable length of time, follow up on the status of your application. If you were turned down, ask if you might get some feedback on why. This feedback can go a long way to improving future applications with this provider and others. Losing out this year doesn’t mean you can’t try again next year, this time knowing what went wrong last time. Requesting feedback will also save you time. There may be something that does preclude you from a particular scholarship that you overlooked and now you know not to waste your time reapplying. If the feedback indicates that it would be worthwhile to reapply, you’ll improve your odds and save time because you’re already familiar with a particular scholarship’s application process. Before you begin the process, carefully read the application instructions and the entire application. Doing so will help minimize mistakes and prevent you from wasting time for scholarships that you may not be eligible to receive. Getting half way done and realizing there is a requirement you don’t meet is frustrating. When you’re applying for lots of scholarships, there can be temptation to make everything one size fits all because it’s faster, easier and you’re tired of the whole process. Avoid the temptation! The more personal and specific you are, the more you stand out from your competitors. The same is true for cover letters when you start applying for jobs so get in a little practice now! Spend time researching the mission statement behind the organization bestowing the scholarship. They will be looking for people who share their values and ideals. Many of these require volunteering. Don’t detail what you did in your capacity as a volunteer. Tell the story of how your service changed you, what it taught you and how it impacted those you served. Applying for loads of scholarships is ponderous, I know. But do you know what is worse? Graduating with tens of thousands of dollars in student loan debt. There are millions of dollars out there to help you pay for college, go get your share! I’ve already done so – read my story here. Most high school seniors dream of going to college and furthering their educations. This is a noble goal, and a college education is needed in a plethora of today’s career fields. However, going to college remains an expensive proposition. A college’s “sticker price” is made up of tuition, room and board, textbooks, meal plans, and other factors. For example, attending a small private school is usually more expensive than attending a public state university. According to the College Board, a “moderate” college budget for the 2015-16 academic year averaged $24,061 for an in-state public university. Private colleges averaged $47,831 for four years. Few families have the income to support these costs, so many prospective students must rely on scholarships to offset financial expectations. These pupils often struggle to find the right compensation for them; once they discover a scholarship they want, winning it can be the most daunting task of all. Additionally, the last two years of high school are academically, athletically, and socially stressful. Many scholars put off applying for scholarships or don’t pursue them at all. Those who don’t apply, though, are missing some fantastic opportunities for financial help and personal growth. If you’re a prospective college student in need of scholarships, you should apply early and often to a variety of awards and programs. The tips outlined here will help you find the right ones for you and increase your chances of winning them. UnionPlus: For the past 22 years, Union Plus has distributed over 3.7 million scholarship dollars to working families. Northern California Laborers: This year’s program will award seventy-five (75) college scholarships of $3,000 each. International Association of Machinists: Awarding scholarships since 1960. Typically 20 winners receive about $3,000 each. International Alliance of Theatrical Stage Employees: offer three scholarship awards each year in the amount of $2,500 totaling $10,000 over a four year period. Laborers International Union North America: Helps families of union members who were killed or permanently disabled while at work. Greater Southeastern Massachusetts Labor Council: Three $1,000 scholarships will be awarded to three students. Local awards are often small; some are only about $200. Many students ignore these, assuming they aren’t worth the time and effort it takes to apply. Small amounts add up. Two $500 scholarships reduce your chosen college’s sticker price by $1,000, which can make a dent in one year of tuition. Additionally, some local awards are given every year, so once you win the initial figure, you’ll continue receiving it throughout your college career. For example, the Jennifer L. Duke scholarship, available in North Carolina, is counted toward winners’ tuition during all four university years. Applying for local scholarships also enhances your connection with your hometown and the people in it. Local merchants, reporters, and other community members want to see their students succeed. They also want positive feedback and publicity for their businesses. Winning a local scholarship helps you maintain a long-term connection with the people and enterprises who bestowed it on you. Many scholars are invited to banquets and similar events to speak on their experiences and show appreciation to donors. Over time, these interactions can lead to better chances in the job market as well as career advancement opportunities. A final advantage to small, local scholarships is that they target narrower student groups. This might seem like a disadvantage, but overall, narrower targeting makes scholarships easier to win than they would be in statewide or national contests. Scholarships that focus on smaller populations also have a stronger connection to their location. For instance, you might be a California student growing up at or near Camp Pendleton or the Presidio. A parent or grandparent might be active duty military or a veteran. Applying for a scholarship aimed at military family members communicates your appreciation for the armed services. It also lets college admissions boards know you have a personal, unique connection to your area as well as experiences that may serve you well in a university environment. Many students apply for scholarships without a particular interest in them. This may seem like a logical choice; most undergraduates naturally conclude that the more money they have, the lighter their financial burdens will be. This is true on the surface, but pursuing a scholarship just because it’s available is a mistake. Applying for those you have no interest in makes the process long and arduous. As a result, you’re not likely to put in your best effort. In addition, applying for random scholarships often affects your confidence. If you lose several contests, you may find it more difficult to keep trying. Burnout is a real concern, especially since high school demands are significant. Rather than applying for hundreds of random scholarships, seek out those that emphasize your strengths and interests. If you’re an excellent English student, for instance, find scholarships that require essays on deep or multifaceted topics. If you prefer science and math, seek out science, technology, engineering, and math (STEM) awards. Remember that not all scholarships are based on grades and academic interests. College admissions boards want well-rounded students who have meaningful experiences outside the classroom. If you volunteer at an animal shelter, tutoring center, or nursing home, look for remunerations that reflect dedication to community service. For example, athletes should seek out scholarships with sports-friendly application questions and essay topics. Most of the time, students don’t want to spend hours or days on scholarship applications. While this is understandable, it often leads to missed opportunities and larger awards. Research shows that students are less likely to apply for scholarships requiring one essay of 1,000 words or more, multiple essays, or long applications. These scholarships may take time and effort, but applying for them is well worth it. The competition pool is significantly smaller; 50,000 students may apply for a scholarship that requires little to no work, but only 10,000 may apply for one that requires multiple essays or similar tasks. If a scholarship seems daunting, ask for help. Teachers, counselors, and other school personnel are eager to get students to college. Ask them for assistance editing your application, finding recommendations, or brainstorming essay topics. College essays may look intimidating, but many of them ask students to reflect on personal experience and growth. Even if you don’t think you’ve done anything worth writing about, you probably have much more material than you realize. Additionally, some junior and senior English teachers assign mock college essays for classwork or homework. If yours doesn’t, ask if you can write one for extra credit or come to an after-school session for practice. Scholarship review boards expect applicants to be intelligent, diligent, dedicated students. If they receive an illegible application or an essay full of grammatical and spelling errors, they’ll throw it away. Always submit neat, grammatically clean work; if this is a struggle for you, ask an English teacher for help with your essay. Additionally, don’t rely solely on your computer’s spelling and grammar checker. Those programs often miss errors or indicate issues where none exist. They can also be notoriously unreliable if you speak English as a second language or have a learning disability like dyslexia. Additionally, always read the scholarship guidelines – and do so more than once. Plenty of students lose their chance at awards because they missed some small detail in the rules or a key element of an essay topic. Once you’ve double-checked the guidelines, ask another person (like a teacher or counselor) to review them with you. Ask him or her about anything that isn’t clear; never start an application process thinking you know what reviewers want only to find out they were looking for something different. Did you miss the first scholarship party? If so, you’re in LUCK! So many people have contacted me saying they couldn’t make the first one but really wanted the information so I spoke to Jay Cameron about it and we decided to do another one! This weekend, Jay Cameron and myself are having another scholarship party! It will be on Saturday, July 19th, 2014 from 9:00am until 12:00pm at the Radison Hotel in Largo, MD. 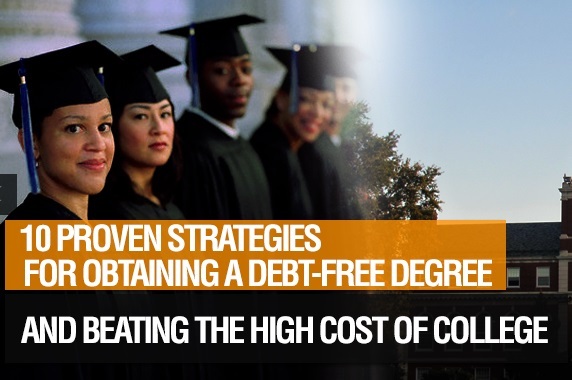 We’re even going to talk about how to pay off lingering student loans! I’m sooo excited about sharing all of this information with you. Pastor Jay Cameron and myself have been talking about this event and working out the details for the past year. We really wanted to equip you with all of the tools necessary so that you can go to college without having to worry or stress about how you are going to pay for it. Literally I’m smiling from ear to ear as I write this. Because my article was just published in FORBES! YES!!! This is the first time I’ve completely detailed my journey— even listing all of the scholarships that I received— to graduate college debt-free. It was a struggle, but I’m so glad that I stuck with it and did it. AND I’ve been trying to get published in Forbes for months now so this is a big accomplishment for me. As with scholarship winning, persistence and determination surely pays off! When I was just starting out, I remember feeling super overwhelmed. Where do I start? How do I find scholarships? Where are the scholarships for me? All of those questions raced through my mind while I blankly stared at the long scholarship search engine questionnaire on the computer screen. The problem was people told me I would just magically get scholarships—to not worry— but I didn’t quite receive a full-ride to the school that I wanted to go to. And now, I was stuck trying to figure out how I would come up with the extra money. I spent so many hours day dreaming about my dream school, but unfortunately didn’t spend as much time thinking about how I would pay for it. I didn’t have a lot of direction or clarity on how to find scholarships to make my dream school into a reality. I caught myself laying in bed at night, hoping a fairy-godmother with scholarship knowledge would come down and present me with a scholarship in the exact amount that I needed to get into my dream school. Looking at things now, my life feels so different. Almost a decade of trial and error, many mistakes, missed scholarship deadlines, and an intense dedication to researching and taking action will have that effect. Although I’m not perfect, I’m very grateful that I’ve been able to crack the code on how to turn my strengths, passions, and hobbies into scholarship dollars. And I’ve helped many families do the same. Since you were kind enough to let me know that you’re interested in learning how to graduate college debt-free, I wanted to let you know that I teamed up with an admissions expert and we are having a workshop (on May 18th) revealing all of our Super Scholarship Secrets. I know there’s a lot of conflicting information on scholarships out there. I know how extremely overwhelming, frustrating, and confusing the scholarship world can be. That’s why I wanted to give you clear, simple steps that you can use immediately. You can sign up for a spot in the Super Scholarship Secrets workshop here. There are only 20 seats left, so you want to sign up before they’re all gone! I’ve learned so much over the years and my hope is to help you shorten your learning curve. I struggled with so much fear, discouragement, self-doubt, frustration, and confusion that it made me want to quit chasing my dream of attending college all together. I felt like time was rapidly running out. College was going to be starting any day and I remember that feeling of panic and of my stomach being tied in knots. If you can relate to any of this, I want you to know that you don’t have to experience it. Let me help you use your passions, strengths, and talents that you’ve been given to help you turn your college and career dreams into realities. So come on and grab a ticket before it’s sold out. Of course, if you know anyone that would benefit from getting help winning scholarships, please comment and spread the word! P.S. If you’ve ever said to yourself, “I know I want to go to college, I just need the money to be able to go” then this workshop is right for YOU! P.P.S. Below are all of the event details. You can also see the details and secure your spot here. Remember, only 20 spots are left! Are you looking for free money for college? Do you know which classes and extra-curricular activities improve a student’s chances to receive grants and scholarships? Do you know the precise steps to finding lucrative scholarship awards? If you are overwhelmed, confused or unsure about how to fund your child’s education – then this workshop is for you! Sia Knight (The College Savvy Coach) will reveal exactly what it takes to be a GREAT candidate for college admission and how students should distinguish themselves from the competition when applying for scholarships. The Debt-Free College Grad (Shanice Miller) will share how she earned a FREE degree and reveal a step-by-step plan that outlines what students should do to find and win thousands of dollars in scholarships. This interactive and action-packed workshop will conclude with an extensive question and answer period – get your questions about college admission and winning scholarships answered by the experts! Join us at 2:00 p.m. on Sunday, May 18, 2014 at the Woodbridge Campus of the Northern Virginia Community College, Room WC 104. Admission – $49.99/person. Don’t delay – seats are limited! “Panicking senior season” is officially here! This is the time where high school seniors have already submitted their college applications, received their acceptance letters in the mail, and have even received some financial aid award letters from the college. This is also the time where many financial aid award letters have fallen short of what the senior student depicted in his mind and when a lot of students and parents contact me asking for my scholarship services. If I’ve just described you, you aren’t the only one in this boat. Seniors everywhere are scrambling to get some last minute money for college before August rolls around and it is too late. But before you and your senior student go on a wild “search and destroy” mission for all the scholarship applications that you can get your hands on, take a peek at these 3 Must Ask Questions to Ask Yourself Before You Fill Out a Scholarship Application. 1. Am I eligible for this scholarship? Check the eligibility checklist on a scholarship first and make sure that you meet all the requirements. You don’t want to go through and fill out an entire scholarship application only to find out that you do not meet the minimal requirements listed for the scholarship application. Not meeting the minimum requirements for a scholarship will typically disqualify you. Example of minimum requirements are you have to have at least a 3.0 GPA or you have to reside in a certain area in order to apply for the scholarship. 2. Has the deadline already passed? Check to see if the deadline for submission of the scholarship has passed. Scholarship judges will not take a single glance at your application if you submit it after the deadline has passed. It won’t matter how great your application is or how “perfect” a candidate you are for the scholarship. If the deadline has passed and you think you will be a great candidate, save the information about the scholarship for the next time the scholarship opens up and apply during that next year. If you are having a problem with keeping track of the scholarships that you would like to apply to, get a calender and mark the deadlines for each scholarship on it. Remember, with scholarships you always want to beat, not just barely meet deadlines. 3. Is this a highly competitive scholarship? Highly competitive scholarships like the Ron Brown Scholarship, Coca-Cola Scholars Program, and Gates Millennium Scholars, are well known, highly publicized, and open to the nation; therefore will have a LOT of people applying to these scholarships. They have big award amounts that you can win, but they also have an extensive scholarship application that you will have to complete. Before you fill out the application, really think about how qualified you are the win that scholarship. Will you be able to compete with other students that are applying to this scholarship? If you think it might be a stretch, search for some of the local scholarships instead. These have smaller award prizes and less competition. (Remember small award prizes can definitely add up.) The local scholarships can be found at your school and in your community. You can ask a church that you are involved with or a local bank for the scholarship opportunities that they know of as well. In the comments below, I would love for you to share which of the 3 must ask questions have been most helpful to you? Which part really hit home with you and why? As always, thank you for reading and sharing! Recently, I had the honor of being interviewed by Denise Douglas of CTV on how students can graduate college debt-free, my new book titled “How to Graduate College Debt-Free With Money in the Bank,” and discussed the upcoming free scholarship workshop that I will be speaking at called “Stormin’ for Scholarships.” It was such a rush of excitement being able to be on set and seeing everything that went on during that time. With the rising costs of college costs, it would seem like it is impossible to be able to graduate college debt-free but I was able to graduate from the University of Maryland Baltimore Dental School 100% debt-free and I disclose exactly how I did it in “How to Graduate College Debt-Free With Money in the Bank” and the CTV interview with Denise. The book is available now and you can get it here. Thank you for watching and sharing! Please pass this along if you know of anyone that would benefit from information on graduating college debt-free. If you have any questions that you want me to answer, leave a comment below. When I first started searching for college scholarships I felt like I wasn’t good enough. I had good grades, but not valedictorian grades. Aren’t the valedictorians the ones that get all the scholarships anyway? I felt really discouraged and at one point felt that there would be no point in me even applying to a college scholarship because I thought all scholarships would be awarded solely based on who had the highest grades and SAT scores. Many high school students feel this way and as a result they lose out on a lot of free money for college because they never apply to any scholarships at all. After breaking past my negative thoughts and finally starting my scholarship journey, I discovered scholarships that did not even ask for my GPA or my SAT scores. Yes! Finally, I’ve hit the JACKPOT! After this discovery, I felt way better about applying to scholarships. 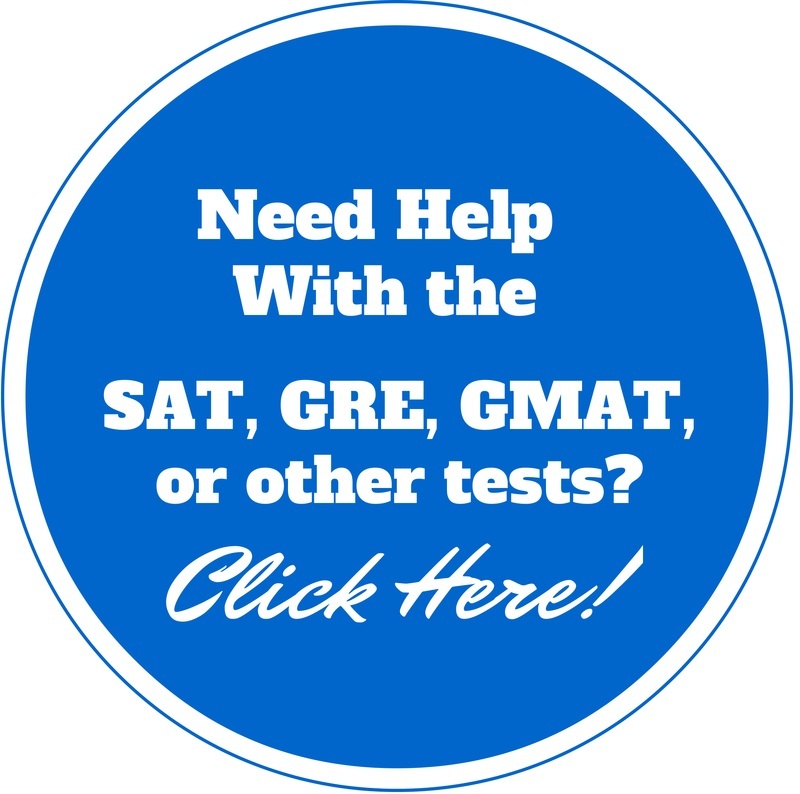 If you can relate to any of this or just want to learn of more college scholarships that you can qualify for, you are going to love these 5 featured college scholarships that do NOT require you to list your GPA or SAT scores. In the comments below, I would love to hear from you. After discovering that there are scholarships that do not require you to disclose your GPA or SAT scores, how do you feel about applying for college scholarships? Are you still worried that you won’t win them? Why or why not? Thank you, as always, for watching and sharing.